When New York’s super-heroes and villains destroy the city during their battles, Damage Control cleans up the mess. But, even these guys couldn’t stop Mighty Mouse’s book from being canceled. 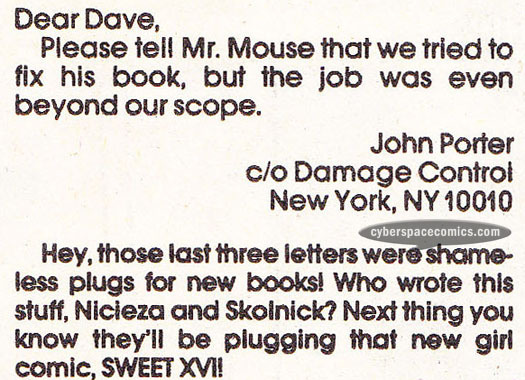 As a marketing ploy, they got a letter published in Mighty Mouse#10 (cover date – July 1991). When this was published, their third series was already on its second issue.